Back in the day, your typewriter didn’t talk to you or turn Skyping into slurping, and you were good with that. 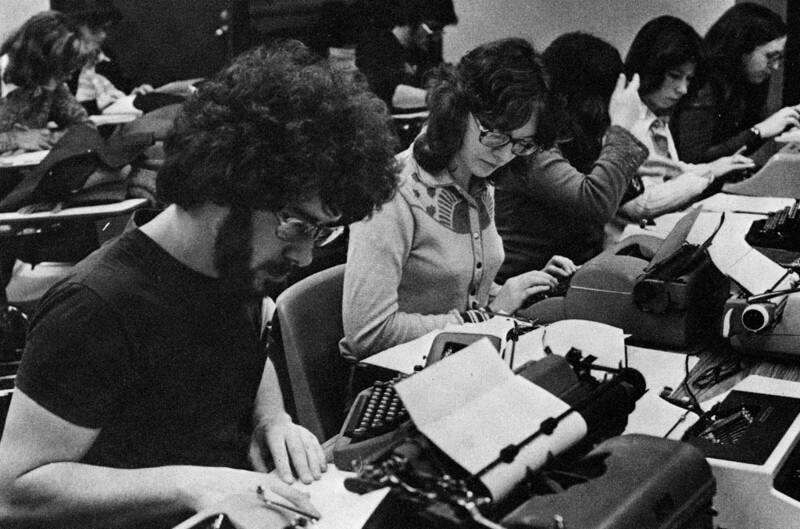 Typewriters, including the required bottle of dried-out Wite-Out, quickly became ubiquitous. What modern convenience do you remember from college? Or what can’t you live without now? Facebook app? E–ZPass? Smartphone? Laundry detergent pods? Confess your dependence and share with fellow Lions what it means for civilization. Share your story by writing us at the address at the top of this page or at magazine@tcnj.edu.